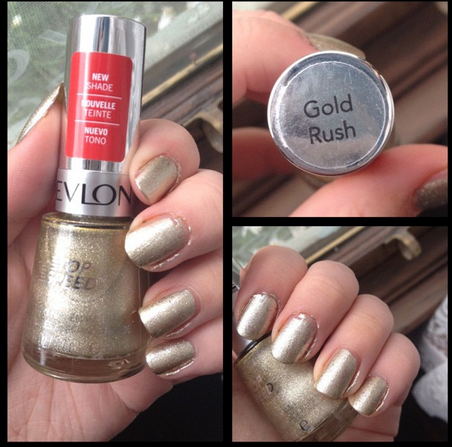 Whilst searching my collection for a new polish to wear, I came across this beauty: Revlon's Gold Rush. Gold Rush is a gorgeous metallic polish in the top speed formula - great when you're running out the door like I was! This polish applies easily and dries relatively fast as the formula suggests. The polish itself is a bit grainy in texture and doesn't dry smoothly on the nail. I'm sure a top coat would fix that, but I didn't mind a different texture. It was very buildable and unique. One coat gives a semi-opaque sheen, but two coats is good to go. I enjoyed adding a coat every day when I wore it to build up the texture. 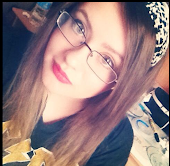 It is the only metallic-esque polish I own and I quite enjoy it! gold rush looks so pretty!